The Guilford College baseball team has struggled this season but won four of the past seven games. The 12-18 overall record and 5-9 conference record have Guilford sitting in tenth in the conference. Junior infielder Ryan Hill has a team-high and 12th in the ODAC with a .355 batting average. Junior infielder Giovanni Garcia (.306), senior outfielder Brett Shapcott (.306) and junior outfielder/pitcher Dylan Tuttle (.303) round out the Quakers hitting above .300. Tuttle and Shapcott lead the team with 16 runs batted in. Senior Mitchell Stumpo is top on the team with nine doubles and adds in 12 RBIs. Hill and junior Tanner Hobbs have two home runs apiece to lead the team. Guilford has six home runs as a team, ninth-most in the ODAC. The pitching has struggled for Guilford this season. The team has a 6.22 ERA, which is ninth in the ODAC and 257th in Division III. Tuttle has made 6 relief appearances and has a 0.84 ERA in 10.2 innings. Senior Rhett Miller has started no games this season and has a 3.64 ERA and 45 strikeouts in 47 innings. Stumpo leads the ODAC with 49 strikeouts. 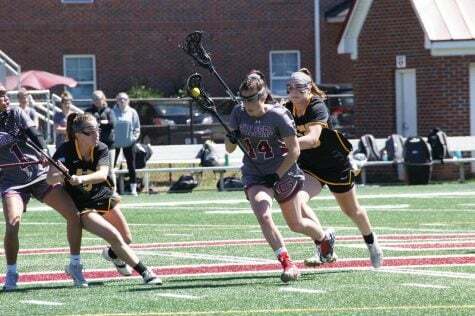 Guilford has nine games remaining in the season, including eight ODAC games. Seven of the eight ODAC games are against opponents with at least a .500 record in conference play.